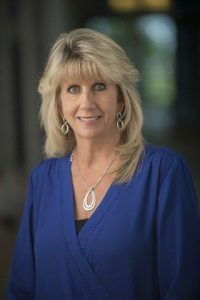 SOUTH BEND – Teachers Credit Union named DeAnna Moyers vice president of mortgage services. Moyers brings more than 25 years of experience in the mortgage, title and banking industry. She was most recently with Three Rivers Federal Credit Union in Fort Wayne. Moyers will oversee strategic planning, budgeting, and daily operations of the mortgage services department including development and marketing of mortgage loan products, staff development, and monitoring the efficiency and timeliness of the mortgage process for the benefit of the credit union’s membership. Moyers attended Ball State University. She takes over for Gary Booth who retired in June after a 40-year career in banking, mortgage and commercial lending. Teachers Credit Union, based in South Bend, has more than $3 billion in assets and 54 branches throughout Indiana and Southwest Michigan.